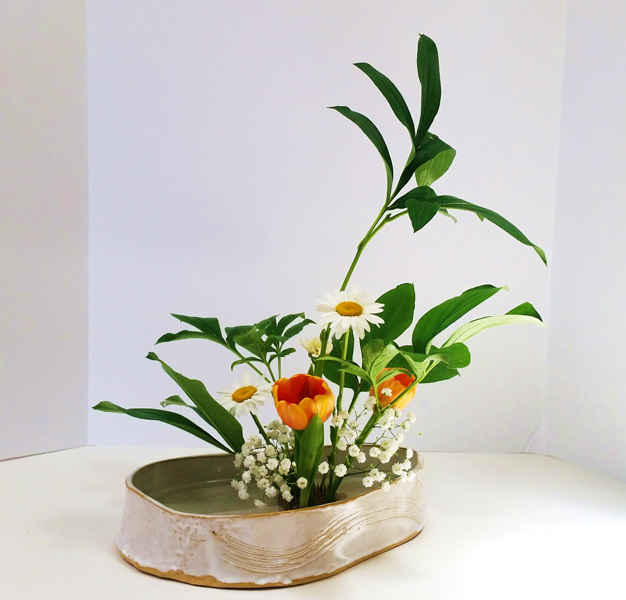 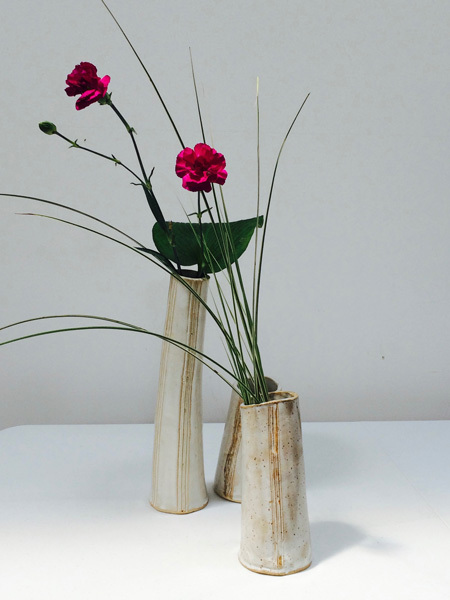 Ikebana is the art of Japanese flower arranging. 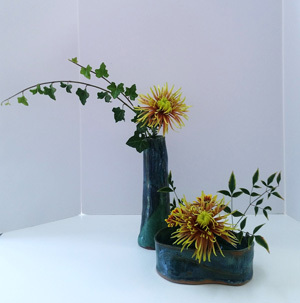 There are several schools of Ikebana around the world, and I study the Ichiyo School with Norma Bradley in Asheville. 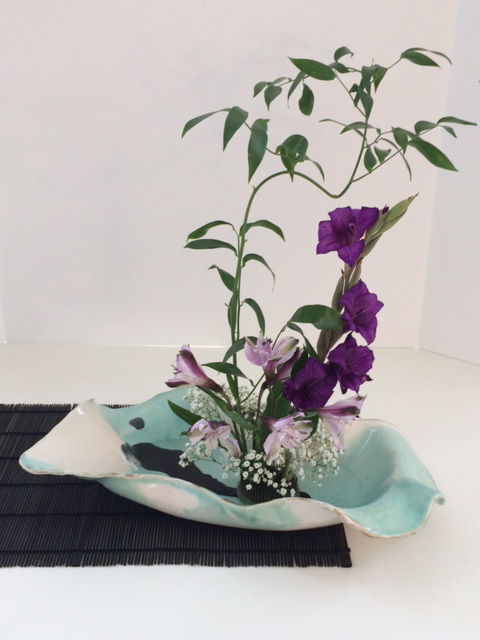 There are basic rules to follow, but the Ichiyo School allows more freedom of expression than some, which suits my temperment. 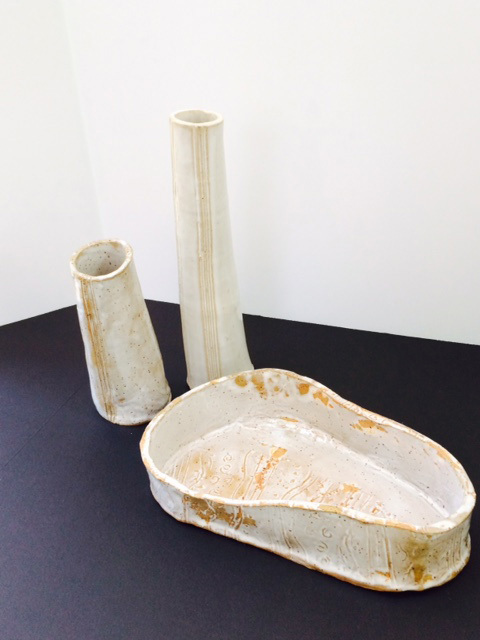 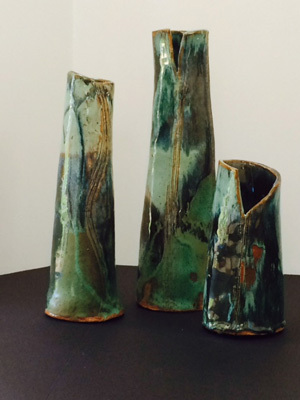 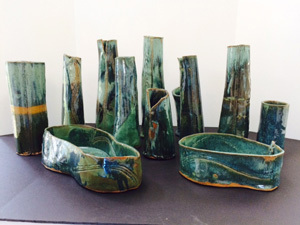 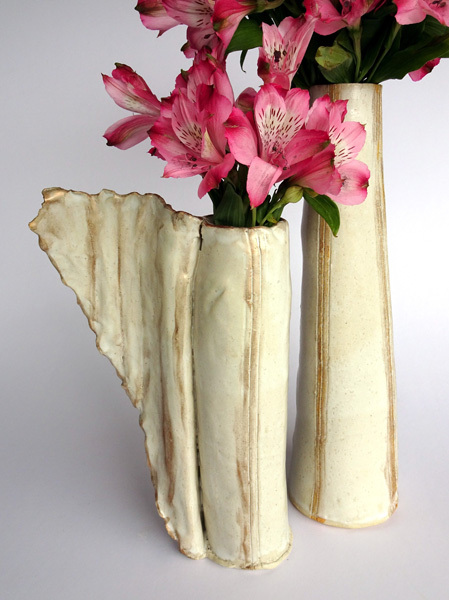 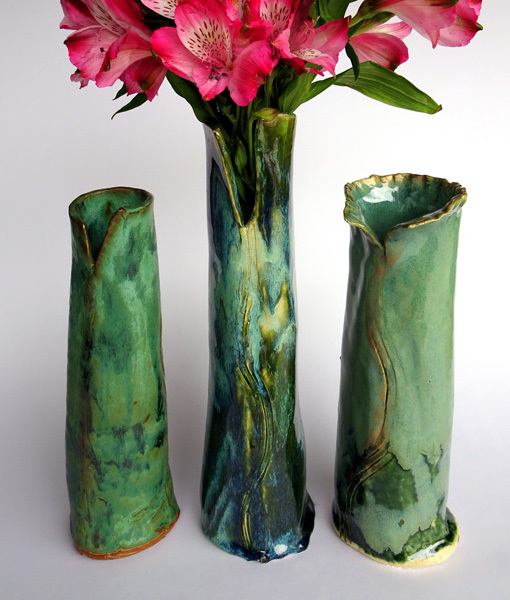 I began making clay Ikebana containers to marry two of my passions, and they have been very well received. The shapes are cylindrical in different heights, "leaning towers", or flat, curved, flowing shapes for use in the "flat form" arrangements. 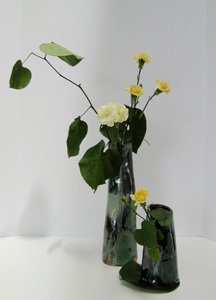 All of the pieces can be mixed and matched. So fun and beautiful! 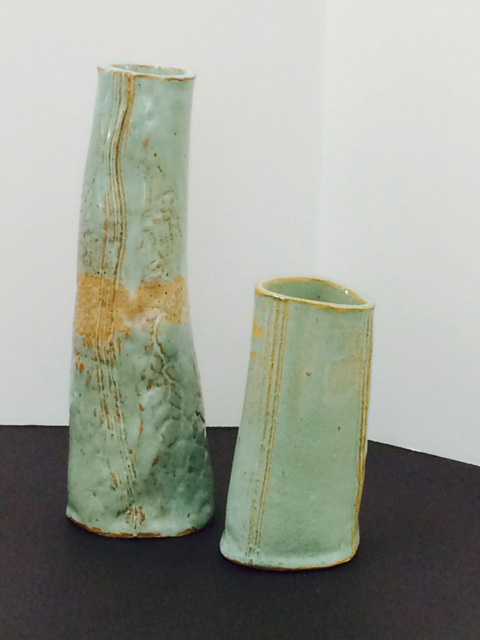 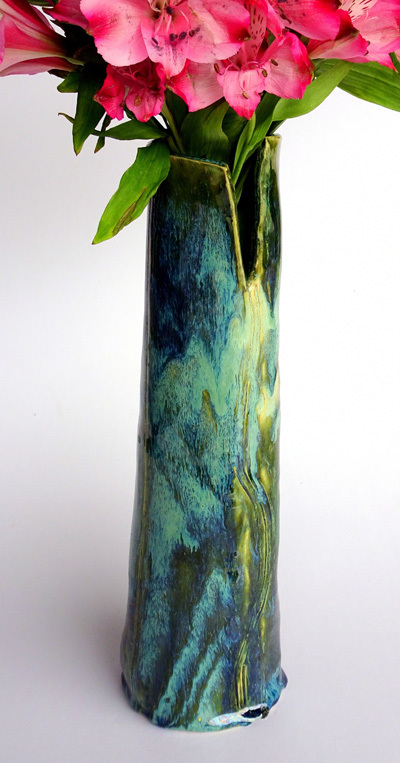 Moribana Container in Celadon glaze with gold, 12"x7.5"